ZukunftsBlog : In eigener Sache: Fundraising für Shoe4Africa beim New York Halbmarathon! In eigener Sache: Fundraising für Shoe4Africa beim New York Halbmarathon! 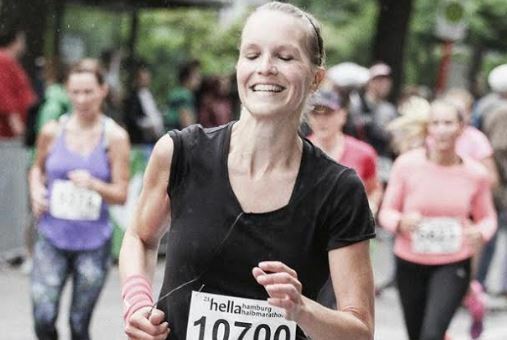 I’m Meike, a passionate runner currently based in Cologne, Germany. I’m super excited to be running the New York Half Marathon 2019 with and for Shoe4Africa – the NGO responsible for building the first children’s hospital in East Africa. Coming from a family of doctors and knowing from my own travels in Africa how difficult it is to set up a decent healthcare infrastructure, I strongly support the work Shoe4Africa is doing. This organization founded by Toby Tanser in 1995 after his 7-months stay in East Africa is not a „drop in drop out“ type of charity, but has come to create a real difference and do sustainable work to support the healthcare system in Kenya. After 8 years of construction (local workers, local architects, local contractors) the Shoe4Africa Hospital in Eldoret was opened in 2015 and has been treating 100,000 young patients every year – by local doctors. Currently, Shoe4Africa is working on creating a whole ecosystem around the hospital: A classroom to have the kids in treatment educated while they are there, a basketball and a soccer pitch to support the kids‘ recovery and fitness (see here a recent newspaper article on the project). As I have just last summer become a Mom myself – and thankfully my Lou is a healthy and strong little babygirl – it is my dearest wish to be able to help children who are not this fortunate. This will be my 3rd half marathon and the first one I’m connecting to a cause: I‘m hoping to raise 1000$ for Shoe4Africa. I chose this organization also because it is comprising of a small team and is efficient in organizing its work. This way I know the money raised will not be „lost in bureaucracy“ but go directly to where it is needed. I’d be overly thankful for your support. Let’s go. Let’s do this! Wir gehen in die nächste 12min.me-Runde! Gemeinsam mit Oliver Struch, Inhaber des Coworking Spaces Wertheim Cologne freue ich mich, wieder eine neue Runde der Eventreihe "12min.me" an den Start zu bringen. Diesmal dreht sich alles um das Thema Social Entrepreneurship! Gemeinsam mit Fabian Kienbaum, CEO von Kienbaum, Andre Große-Jäger, Referatsleiter Bundesministerium für Arbeit und Soziales sowie Sabine Kallhammer, Vorstand des WDR & Leiterin WDR Rundfunkchor diskutierte ich über Kunst, Werte und Führung!